Note: The following intro is going to show up in all of my “Travel Diaries” posts, followed by distinct descriptions and impressions on each place that I have visited. A few days ago I went on an exploratory trip in my very beautiful country, Romania. I absolutely love mountain areas and cities located into the mountains, so I decided to visit some of the most famous and beautiful such cities in Romania. I am so pleased with the outcome of this trip, I have seen soooo many beautiful, beautiful places, and I must say, again, that I am very proud of my country. I sincerely and dearly encourage you to visit Romania and all of the places that I am going to mention in this “Travel Diaries” series. I will also show you a preview, if you are harder to convince. I only took photos with my phone, because I didn’t bring my camera with me – and I really regret that – but, on the other hand, there are a lot of nice photos, made by professional photographers on the Internet, so I am going to show you some of those. I know that this has no personal touch from me, so I am also going to add some of the photos that I took with my phone and some that I posted on my Instagram account ( @alexandra_bulac ), and I think they turned out really well. My photos (except for the Instagram ones) are not edited. If you want Photoshop perfection, that’s what the Internet ones are for. I will just show you the raw beauty of it. 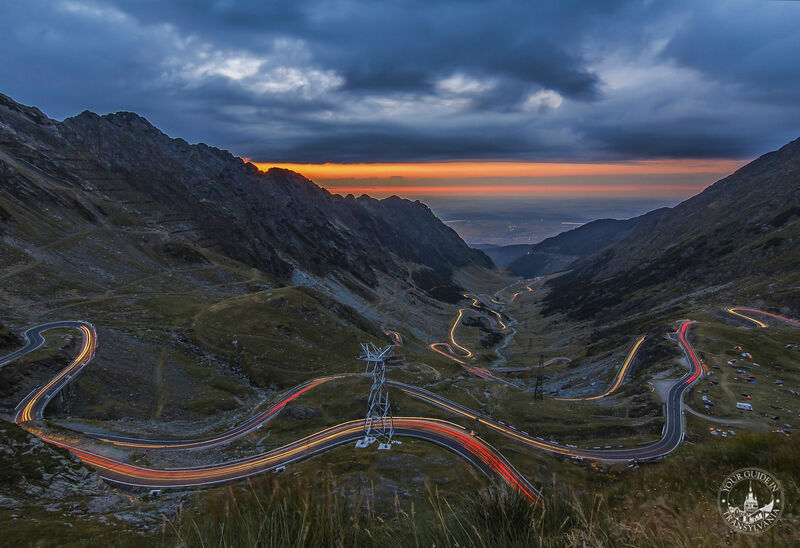 The Transfăgărășan, also known as Ceaușescu’s Folly, is a paved mountain road crossing the southern section of the Carpathian Mountains of Romania. 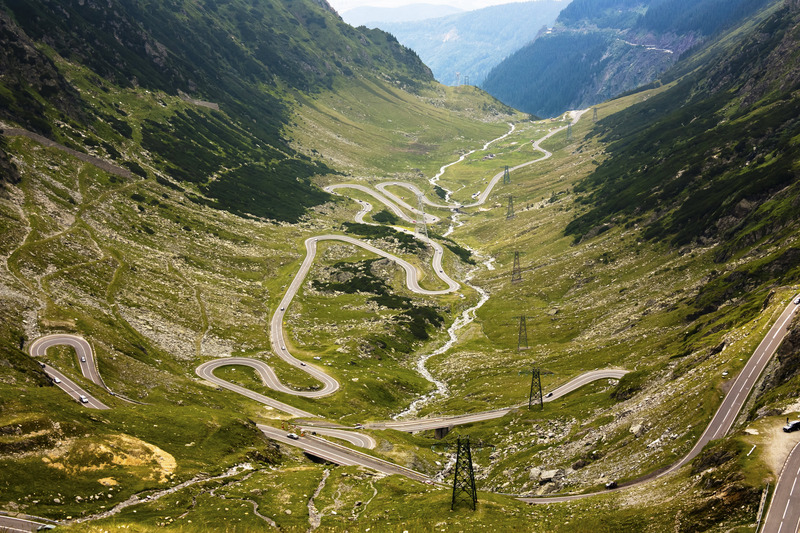 It has national-road ranking and is the second-highest paved road in the country after the Transalpina. It starts near the village of Bascov, near Pitești, and stretches 90 kilometres (56 mi) to the crossroad between the DN1 and Sibiu, between the highest peaks in the country, Moldoveanu and Negoiu. The road, built in the early 1970s as a strategic military route, connects the historic regions of Transylvania and Wallachia. It is a winding road, dotted with steep hairpin turns, long S-curves, and sharp descents. It is both an attraction and a challenge for hikers, cyclists, drivers and motorcycle enthusiasts. Due to the topography, the average speed is around 40 km/h (25 mph). The road also provides access to Bâlea Lake and Bâlea Waterfall. The Transfăgărășan has more tunnels (a total of 5) and viaducts than any other road in Romania. Near the highest point, at Bâlea Lake, the road passes through Bâlea Tunnel, the longest road tunnel in Romania at 884 m (2,900 ft). Along the southern section of the road, near the village of Arefu, is Poenari Castle. The castle was the residence of Vlad the Impaler, the inspiration for Bram Stoker’s Count Dracula. The Transfăgărășan was featured in a segment of the British TV show Top Gear, in the first episode of Series 14 (November 2009). Host Jeremy Clarkson proclaimed that the Transfăgărășan was “the best road in the world“, a title the presenters had previously given to the Stelvio Pass in Italy. 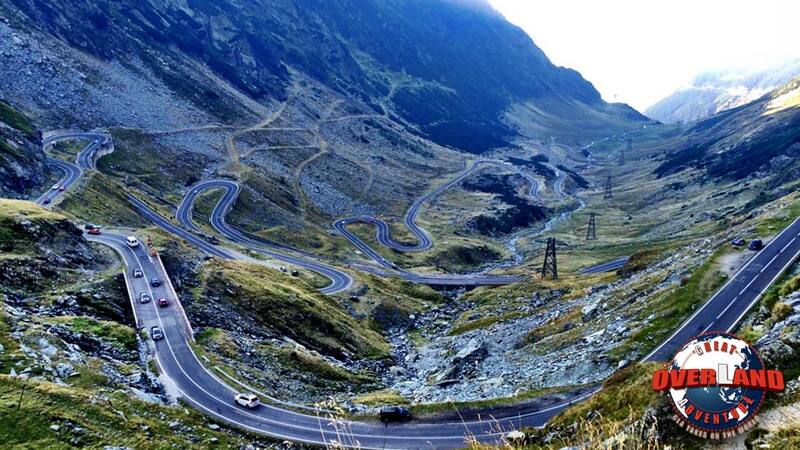 The Transfagarasan is always beautiful, too bad it’s open only during summer season. Some of the best pictures I have in my collection were made on the road.